Gainey Ranch is resort-style living at its finesse. Located in the heart of Scottsdale, Gainey Ranch real estate is a well-established golf community featuring lush, green lawns and trees with beautiful mountain views. Gainey Ranch was designed in conjunction with the Hyatt Regency Gainey Ranch Resort and the 27-hole Gainey Ranch Golf Club. All subdivisions are guard-gated with twenty-four hour guards on duty. 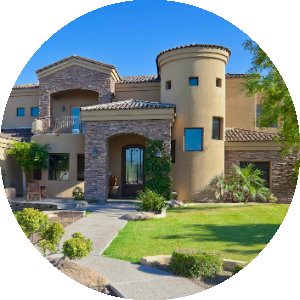 Built in the 1980s on the site of an Arabian horse ranch, the 560-acre community provides its 1035 residents with a convenient North Central Scottsdale location, and a private golf club. The neighboring Shops @ Gainey Village, offer upscale shops, boutiques, trendy eateries and fine dining establishments. The unique mall features bridalware, trendy children’s clothing, and beauty and apparel shops. A golfer’s paradise, Gainey Ranch Golf Club is a private club offering golf, tournaments, junior golf camps, dining and special events. The private Gainey Ranch Golf Club was designed by Benz & Poellot and is exclusively available to Hyatt guests. The beautiful clubhouse with its extensive landscaping further reflects Gainey Ranch's commitment to quality. Residents will enjoy world-class golf consisting of three championship nine-hole courses which on a daily basis, two nines are linked together to build a different 18-hole experience. 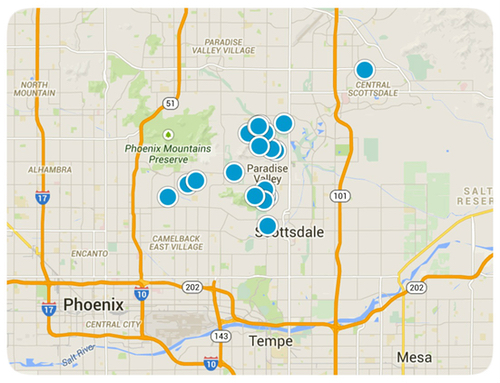 You'll find the very latest homes for sale in Gainey Ranch featured below. This information is updated throughout the day so be sure to check back often! 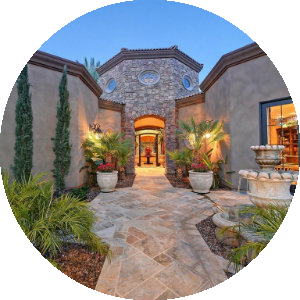 Search the complete inventory of Gainey Ranch homes for sale by price, community amenities, square footage and more using our detailed ADVANCED SEARCH option. See something that interests you? Want more information? 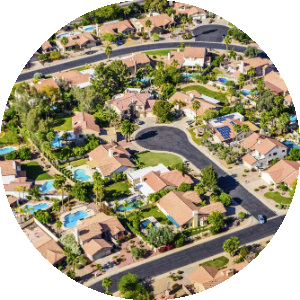 Contact Us anytime to schedule a private showing for any property you find on this site or for more information on the community of Gainey Ranch and all Scottsdale area real estate.